Joe Cross shot a documentary of his 60 day fast of vegetable and fruit juice. Yes, he was obese. But more importantly, he was sick and taking multiple medications. His goal was not simply to shed pounds and inches but also to eliminate his meds and adopt a healthy lifestyle. And that’s the thing about transforming one’s body from obese to normal BMI (body mass index). Whether a patient does a juice fast or HCG diet, as they adopt a healthy eating lifestyle and reduce weight, their vitals normalize. Obese patients are a high risk for hypertension, type 2 diabetes and list of other chronic illnesses. But once they reduce weight, their vitals like blood pressure, blood sugar etc. normalizes. So the cause of their illnesses are, poor diet, limited or no exercise and obesity. Once one learns to change their poor diet to a healthy diet and adopt a regular exercise program; not only do they begin to reduce pounds and inches, their vitals normalize. Is Obesity Caused By Satan? And Is HCG The Solution Provided By God? U.S. Employers are paying over $73 billion on obese workers. This figure includes three factors; medical costs, presenteeism - when employees come to work in spite of illness, which can have negative repercussions on business performance or result in lost productivity and absence from work. 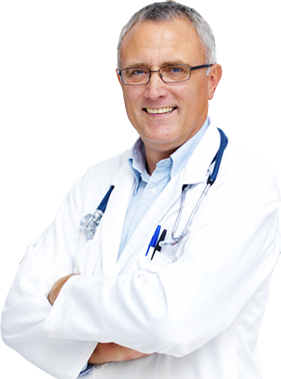 The HCG Diet can help both overweight or obese workers and employers. Overweight or obese workers who lose weight gain benefits of health by reducing risks of high blood pressure, high cholesterol & type 2 diabetes. Employers gain financially with lower health costs and improved productivity. Let’s cover both sides as this seems like a win-win situation. Losing weight will improve one’s appearance. Everybody wants to look better. 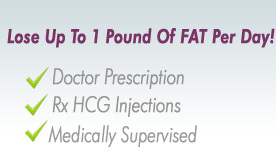 The HCG diet can help people lose weight quickly and safely. But few of us know that the “fatter” we are increases our chances of death. A new study documents the risk according to your BMI (body mass index). BMI is the measure of body fat based on your height and weight which applies to both men and women.